Today we explore one of the hidden gems of Japanese heritage located just about 6 km northwest of Nagoya. I am talking about Kiyosu Castle 清須城, a small castle with a long history, that the ruthless warlord Oda Nobunaga once called home. The stories of Kiyosu Castle is smeared in blood. No surprises there as it played an important role in Nobunaga’s initiative for the unification of Japan. After a violent takeover, with the assassination of Oda Nobutomo, the then clan leader of Kiyosu, Oda Nobunaga snatched the reigns of the province in 1555 CE. 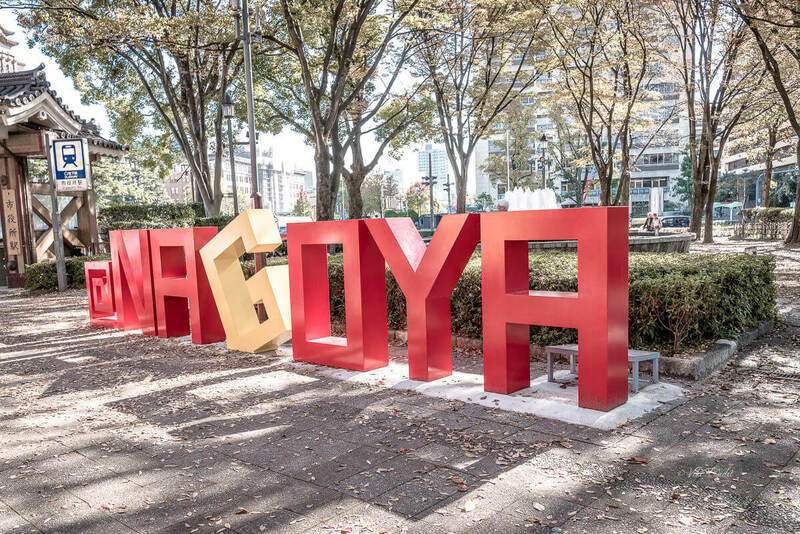 In that time Nagoya used to be the capital city. 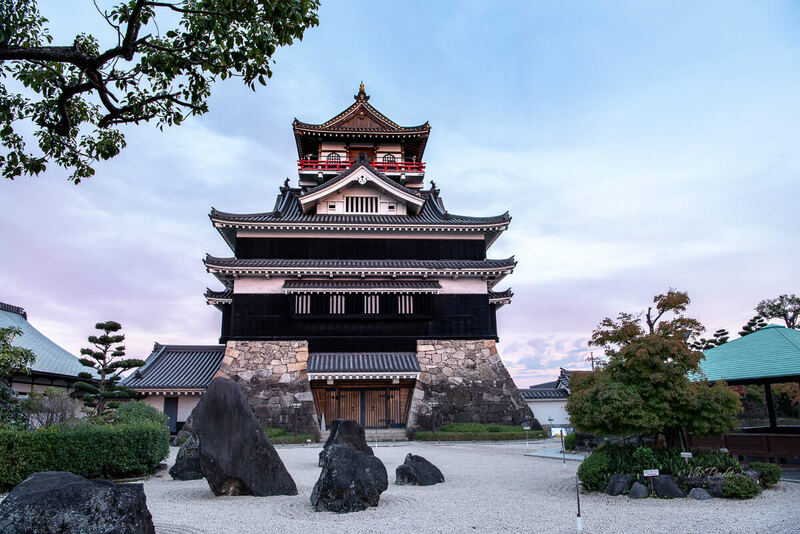 Following his ascent to the throne, he had Kiyosu Castle renovated and moved there, using it as his base in his war of conquest to unify the country. 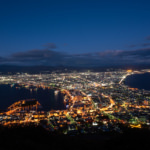 During his reign, the castle town prospered as an economic and cultural center of the Owari province (western part of modern-day Aichi Prefecture) until 1610, when the capital was moved back to Nagoya. We were coming in from Nagoya, where we had spent the afternoon meandering around Nagoya Castle grounds. The ride to Kiyosu Station didn’t take us more than 25 minutes from Nagoya Station, using the JR line. The ride is free if you are carrying JR Passes. 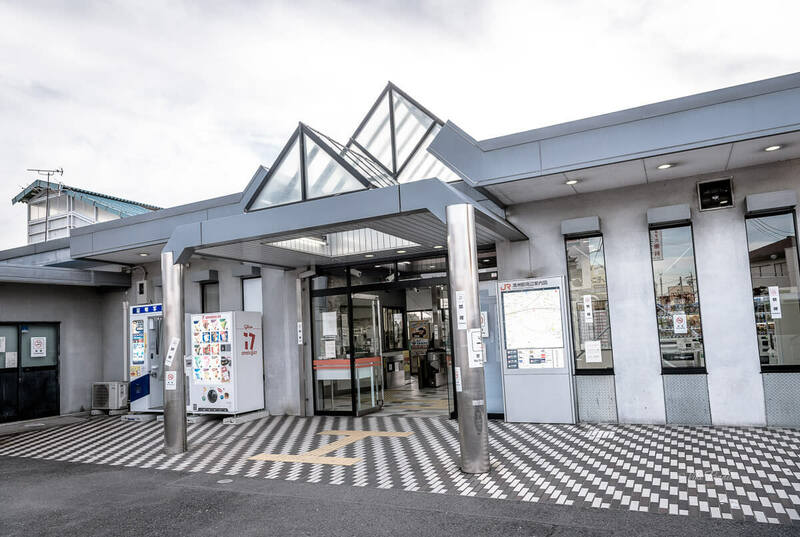 You can also take the Meitetsu Line, but the walking time is more on that route. Note: Meitetsu Line does not allow JR Pass. The train dropped us off at Kiyosu station at around 3.30 pm. 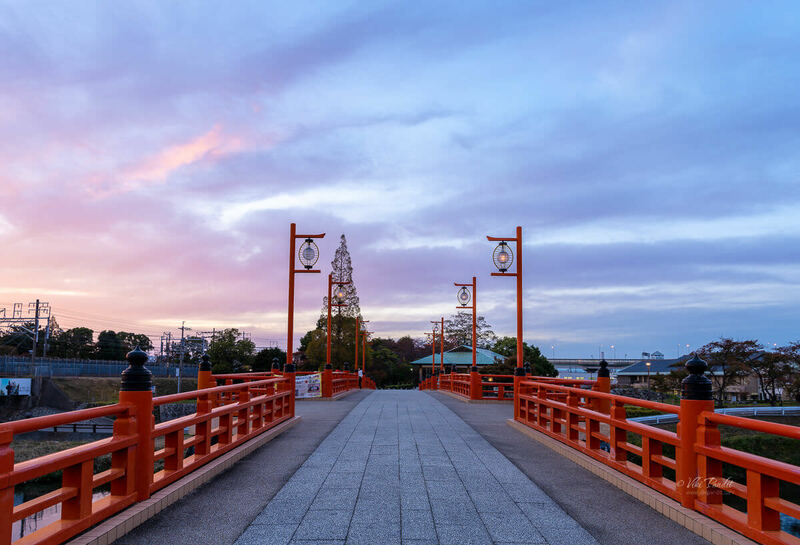 From Kiyosu Station, the castle is another 20 minute leisurely walk along quiet lanes. The only sound I remember all through the walk was the sound of passing trains. Yes, the JR line runs almost parallel to the road all the way up to the castle. Just before we arrived at castle we passed by a small park. I was pleasantly surprised to see a winter Sakura tree blooming right at the edge of the road. 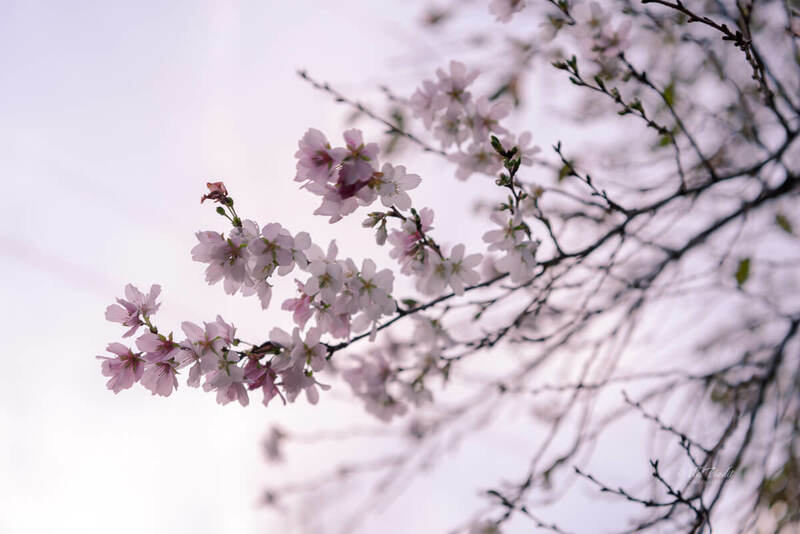 Generally Sakura blooms in Spring between the months of March to April. Winter Sakura, otherwise known as Fuyuzakuras (冬桜), as its name suggests, blooms in late autumn (Fuyu in Japanese translates to Winter). It is rare to see one around these parts. Up ahead we found ourselves near the southern half of castle grounds, which is now a park, featuring a bronze statue of Oda Nobunaga in full armor, with his wife, Princess No-Hime. Nobunaga’s statue imitates his appearance when he was about 26 years old. No-Hime’s statue standing beside his wasn’t originally built here. In the summer of 2012 due to popular consensus, it was relocated to his side. There was still some daylight as we reached the front of the Castle. The first thing that you notice as the Castle comes into view is the lovely vermilion bridge in front of it. The cute little bridge over the Gojo river makes the castle look even more elegant. Before you read further, I would like to clarify that the current standing castle isn’t the original structure. The original castle ruins lie exactly opposite to the current castle building. The present castle tower was reconstructed in 1989 based on the appearance and scale of the original. The site of the actual keep now has the “Kiyosu Furusato no Yakata” a small rest area and souvenir stall on it. The shop was closed by time we reached. A bunch of girls were sitting under one of the street lights along the bridge playing some game. Their chirpy laughter was the only sound in the vicinity. 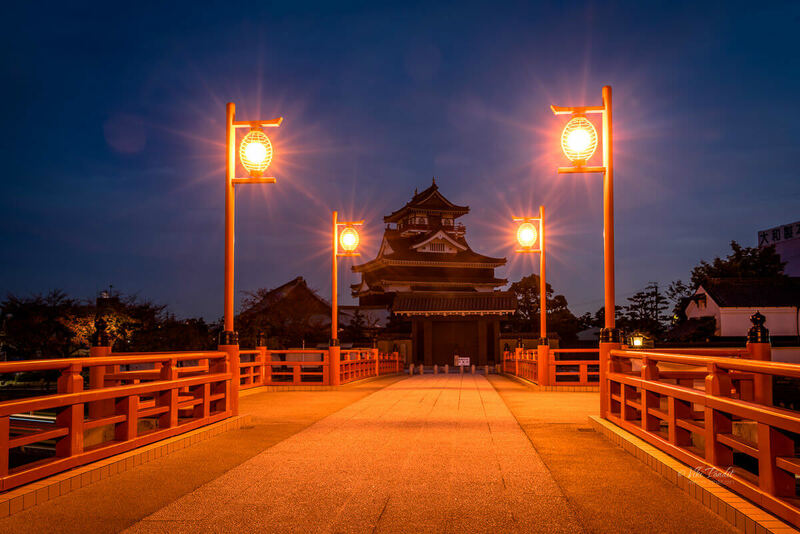 Kiyosu Castle was first built around 1405 by Shiba Yoshishige, the Governor of Owari, as a major strategic defense. Owari is not a name used anymore. 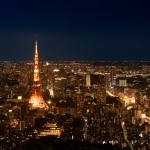 It used to describe the western lands of the present Aichi prefecture. In due time the castle became the seat of power for Owari. 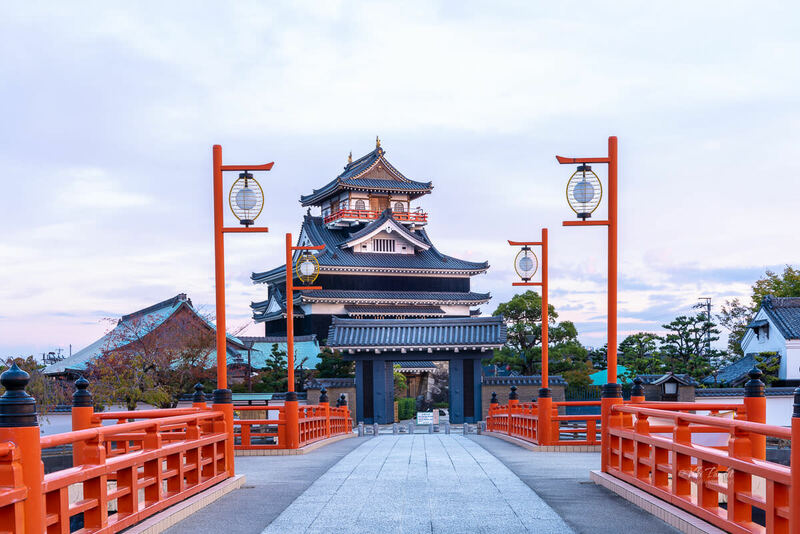 Kiyosu Castle was the starting point for many of the historically significant samurai battles that took place in the violent Sengoku Period between 1450-1615. The major battles of Okehazama (1560), Anegawa (1570), Nagashino (1575) and Sekigahara (1600) were all launched from Kiyosu. While talking about Kiyosu Castle, we cannot ignore the period when Oda Nobunaga reigned supreme. In 1555, after his father’s death, Oda Nobunaga enlisted the help of his uncle, Oda Nobumitsu, and together they attacked and killed Oda Nobutomo. Nobunaga then moved from Nagoya Castle to Kiyosu using it as his base for years to come. Two years later after taking control of Kiyosu, Nobunaga’s younger brother Nobuyuki is believed to have conspired against him. Nobunaga discovered his brothers’ plot to oust him, and faked an illness to draw his brother close. When Nobuyuki came to pay his respects to his “ill” brother, Nobunaga is said to have ordered his assassination within Kiyosu Castle, eliminating his only opposition. Kiyosu remained his base for many years. 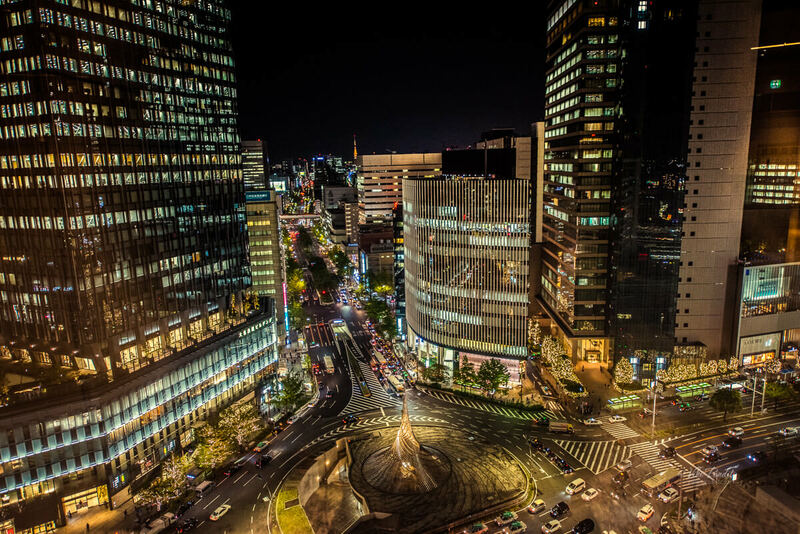 During that time, Kiyosu grew to be a vibrant city. The castle grounds once extended 1.6 kilometers east-west, and 2.8 kilometers north- south, having an outer, central and inner moat system. By the time of his death in 1582, he controlled 30 of Japan’s 68 provinces and was the commander of the greatest samurai army in the country’s history. We walked around the castle capturing the graceful replica from different sides. The front of castle is surrounded by a rock garden. It was nearing evening. The castle grounds were being closed. Currently a museum resides inside the castle. If you want to explore the castle grounds or visit the museum, you have to be here before 4.15 pm. We walked over to the bridge and waited for the magic hour as I refer to the sunset time when the skies light up like a dream. 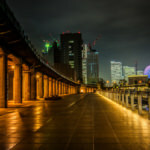 The street lights over the bridge were gradually turning on one by one. The group of girls had probably gone back their homes. The area was totally deserted and it wasn’t even 5pm. If you have traveled much in Japan, it’s a fairly regular occurrence. It doesn’t even feel strange anymore. So, I set up my tripod over the bridge to catch the lovely castle in the shimmering light. Within minutes hues of blue and purple surrounded the castle. After numerous upheavals in the Sengoku Period, Tokugawa Ieyasu emerged victorious and laid the foundations Edo Government. In 1609, for better running of the government, he ordered the rebuilding of the castle at Nagoya. 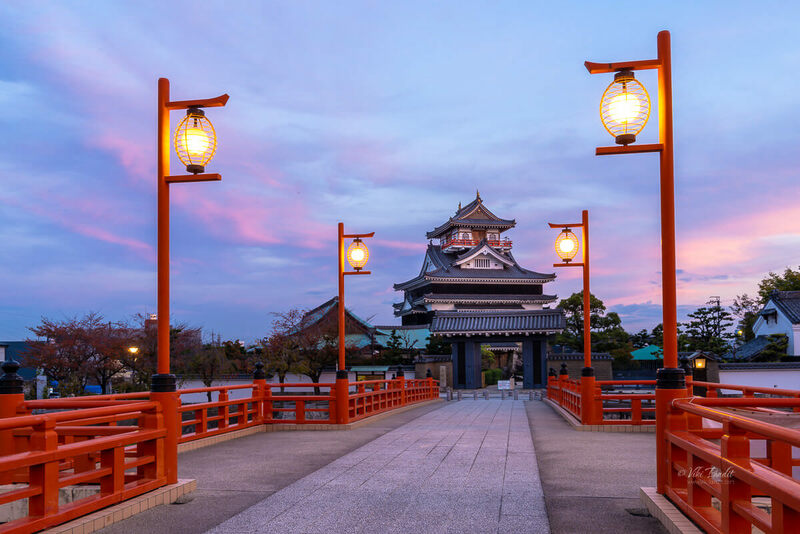 In the same year the old tower of Kiyosu Castle was dismantled and the materials were used for the construction of the northwest yagura of the Nagoya castle. You can still witness that tower in Nagoya Castle, which has survived in its original form until today, being known as the Kiyosu Yagura. Once the construction at Nagoya Castle was finished, Kiyosu Castle was formally abandoned. The current Kiyosu Castle was reconstructed in concrete in 1989 just across the Gojo river from where the actual castle stood. Since the original plans were lost it was built by using the model of the Inuyama castle, which is representative for the castles built in that period. 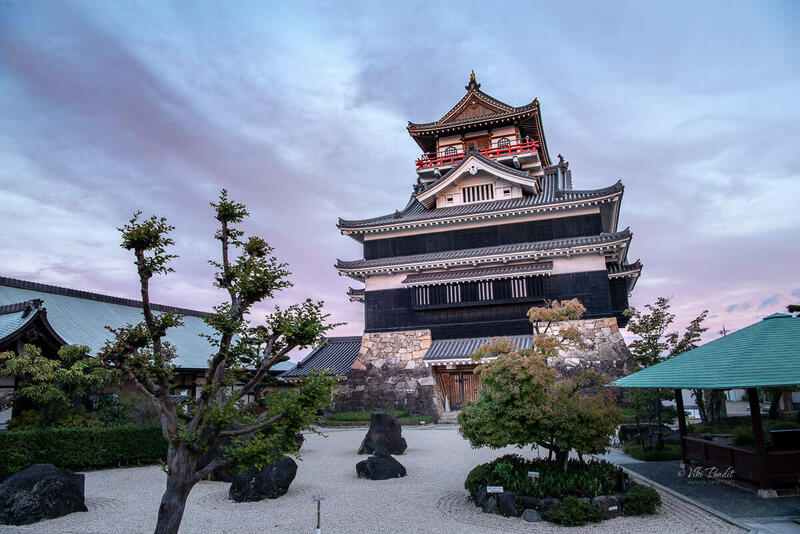 The rebuilt tower, made of concrete, looks indeed like the Inuyama Castle, except for the absence of the small connected donjon and the karahafu undulated gable on the third floor. It was getting dark and it was time for us to head back to the glistening lights of Nagoya. Kiyosu has a lovely castle and anyone interested in capturing a beautiful piece of heritage should not give it a miss. Once the capital of the powerful Owari domain, Kiyosu Castle’s influence may have waned, but its importance to history has not. Thanks for reading. Please leave me a comment if you liked the post or follow this link to read about my other experiences of castles in Japan.